The pop star said he'd been forced to nix the tour against his will. His lawyer told NBC the cancellation is "most definitely" linked to the Russia probe. 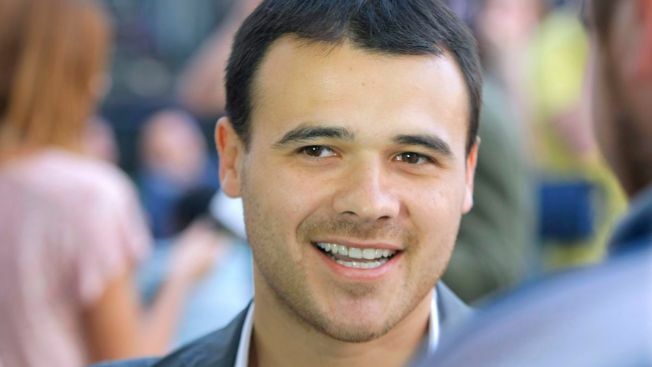 In this Thursday, June 2, 2011 photo, Emin Agalarov, son of Araz Agalarov, an ethnic Azerbaijani business leader living in Moscow, seen during a party in Moscow, Russia. Emin Agalarov, the Russian pop star who is said to have helped arrange Donald Trump Jr.'s meeting with a Kremlin-linked Russian lawyer at Trump Tower during the 2016 campaign, said Monday he has been forced to cancel his tour of the United States and Canada "due to circumstances beyond [his] control." In a video on Facebook, Agalarov claimed he had nixed the upcoming tour "against his will." His lawyer said in a telephone interview with NBC News that he doesn't want his client coming to America under fear of being held under a material witness warrant. Agalarov had been scheduled to perform in New York on Saturday night. Agalarov is seen as a figure in special counsel Robert Mueller's probe of Russian election interference. Agalarov's lawyer told NBC News last July that his talks with Mueller's team were "ongoing," but NBC News reporting at the time indicated that the singer had not been officially interviewed. Agalarov's lawyer, Scott Balber, said in a phone interview Monday that the cancellation is "most definitely" linked to the Russia probe.